Raw performance in a sleek design built for pure power and speed? That's the all new Kova, forged using the legacy of its fan favourite Kova[+] predecessor as its blueprint. It's got double the button functions on a streamlined frame with fine lines and angles reminiscent of a high-end sports car. Double-powered DPI for precision gaming, finished off with a world-class illumination suite integrated into an ambidextrous-use, expertly engineered package. 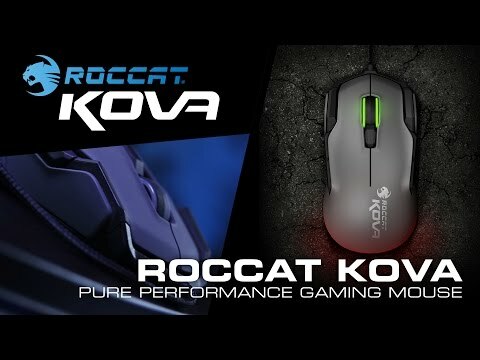 The new Kova is double the ROCCAT power in the palm of your hand. The Kova was forged using the legacy of its predecessor as its blueprint. A strong emphasis on performance above all else has resulted in a raw design that is stripped-back yet sleek. Ambidextrous, the Kova suits left-and-right-handers alike with its high-octane build. Its reflexive button layout provides a mighty arsenal of command power for hard-core gamers who take a serious approach to gaming – for truly unstoppable results. Smart Cast is the intuitive button layout that doubles up on your standard mouse 1 and mouse 2 functions. Optimally placed within finger-tip reach, it adds a new level of reflexive control for fast-paced games. Coupled with Easy-Shift[+], you've got some powerful combos and button assignments at your disposal. Easy-Shift[+] doubles the Kova's total button functions from eleven to an impressive 22, ensuring you won't be left wanting. The Kova's vivid RGB lighting illumination system lets you fully customize the look of your mouse. Create your own unique style by configuring the colour of your scroll wheel and mouse rim independently of each other. An arsenal of advanced lighting effects to choose from and your choice of 16.8 million colours means you can tailor the look of your Kova in a way that's totally exclusive to you. Swarm is the software incarnation of ROCCAT's future ready philosophy. It'll cover you for all relevant gaming platforms and devices. It's the next-gen system that keeps on top all games, apps and ROCCAT products in one place. It provides next-level product integration, working as a unified driver suite with an overview of all of your ROCCAT devices. Say goodbye to multiple tray icons – with Swarm you have a veritable gaming command HQ for every weapon in your arsenal. Features • 7000DPI Pro-Optic Sensor R6:?From 3500 native dpi via overdrive mode. • ROCCAT® Easy-Shift[+]™:?Duplicator technology with 22 functions. • 12 Mouse Buttons: Programmable + Solid 2D Titan Wheel. • Ambidextrous Shape: Optimized for both left- and right-hand use. • 16.8M Multicolour Illumination: Customizable two-level light system. • 32-Bit ARM MCU + On-Board Memory: For rapid macro storage and execution. • ROCCAT® SWARM: Integrated next-gen driver system. 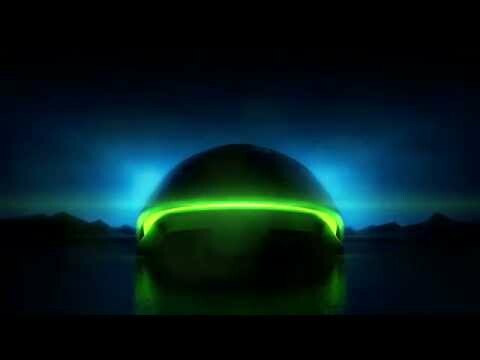 • TALK® FX + ALIENFX™ Illumination: Lighting effects for your favourite games. • Smart Cast Top Button Layout: Intuitive control via reflexive button layout. • Pro-Optic Sensor R6 with up to 7000dpi. • Up to 7000dpi with Overdrive Mode. • 50MHz Turbo Core V2 32-bit Arm based MCU. • 1.8m braided USB cable.